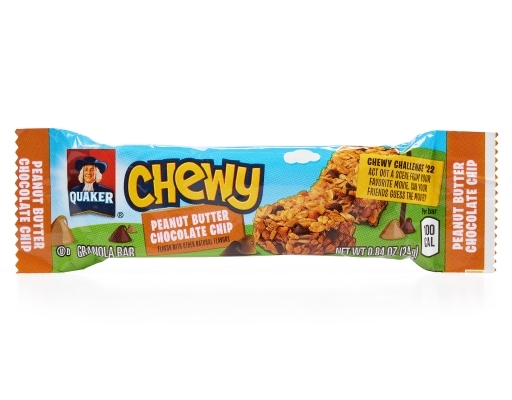 Get excited Chewy lovers, Quaker has given their Chewy Bars a makeover the whole family will enjoy! 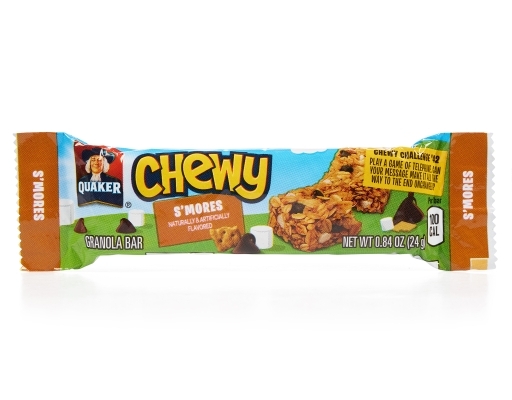 Quaker added even more deliciousness to their Quaker Granola Bars. 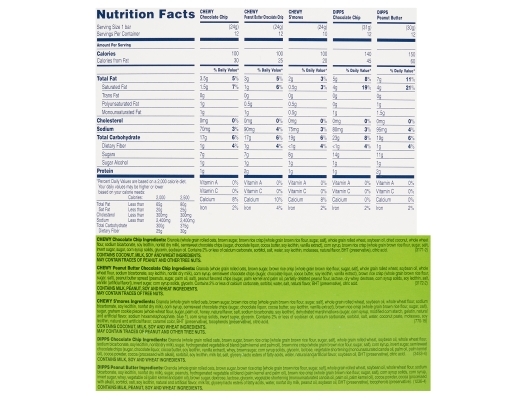 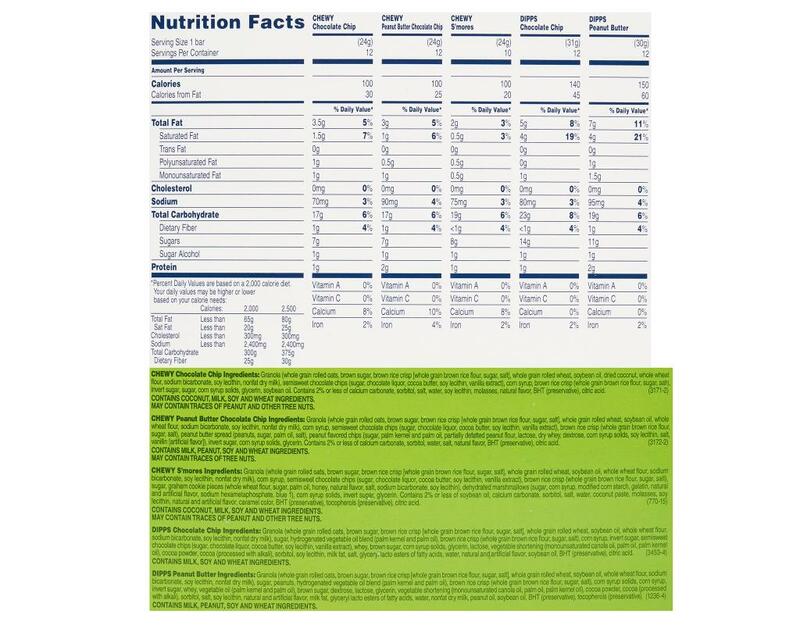 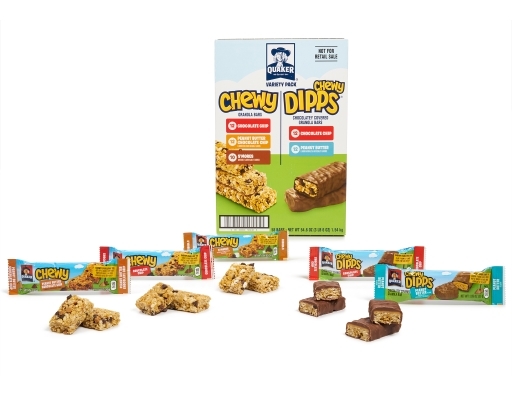 With whole grains, and no high fructose corn syrup, it’s a tasty option for your active family. But while the packaging has a new look, Quaker Chewy is still made with the delicious ingredients and comes in the yummy flavors you've grown to know and love! 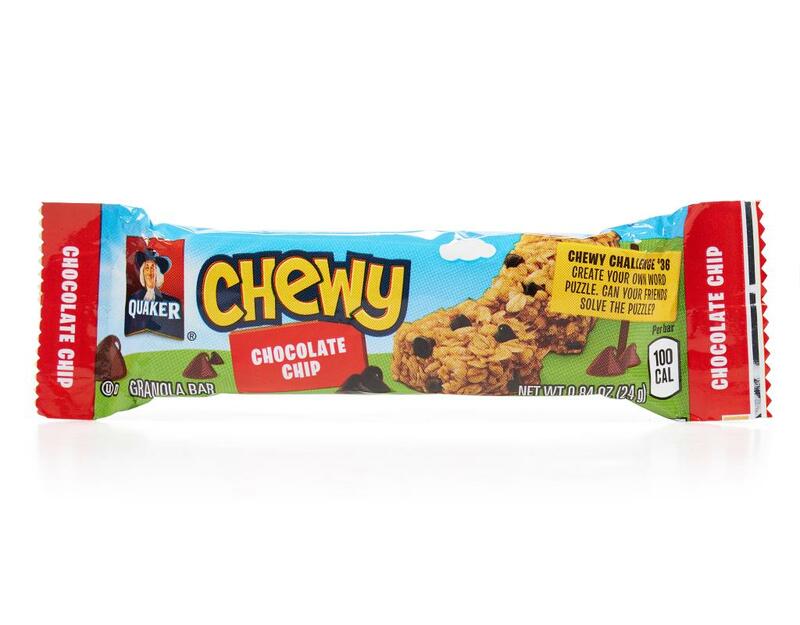 12 x Chewy Chocolate Chip: Nothing gets chocolate lovers cheering like a Chocolate Chip Quaker Chewy Bar. 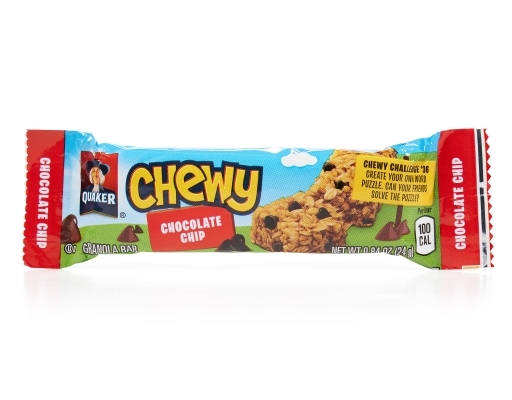 Every chewylicious bite is packed with real, mouth-watering chocolate chips the kids will love. 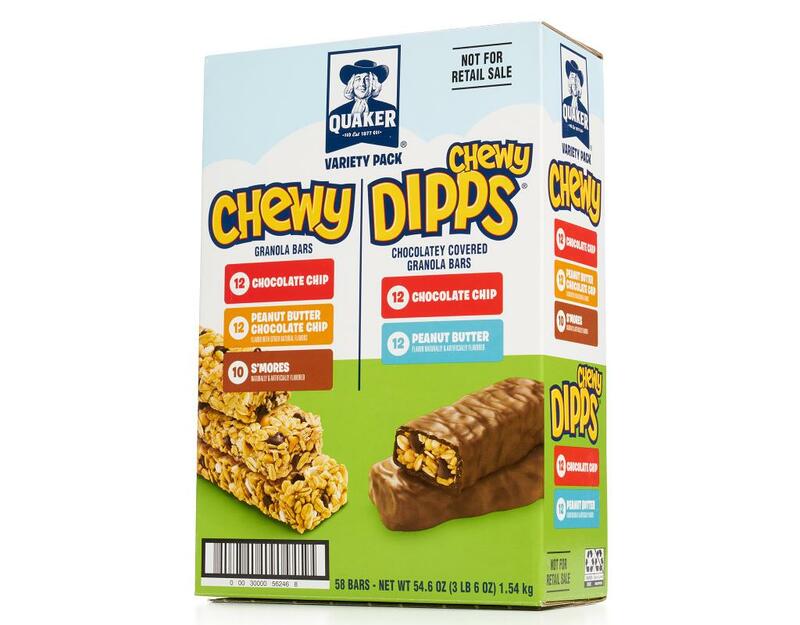 It's no wonder they're the Official Snack of Back-to-School! 12 x Chewy Peanut Butter Chocolate Chip: If you like the flavor of peanut butter and chocolate chips, you’ll love this: Quaker added even more delicious chips to the Peanut Butter and Chocolate Chip Chewy Granola Bar. It’ll help fuel your family to take on the day. 10 x Chewy S'Mores: Quaker S’mores Quaker Chewy Granola Bar takes a family favorite from the campfire to your cupboard. And, with 8 grams of whole grains and no high fructose corn syrup, you can feel good about giving them to your whole family. 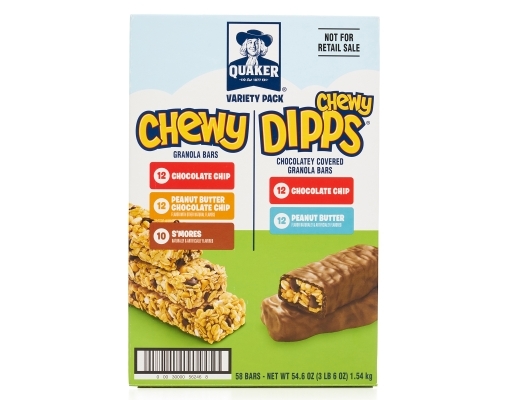 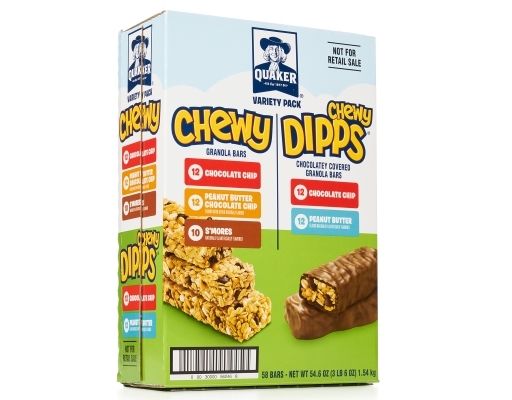 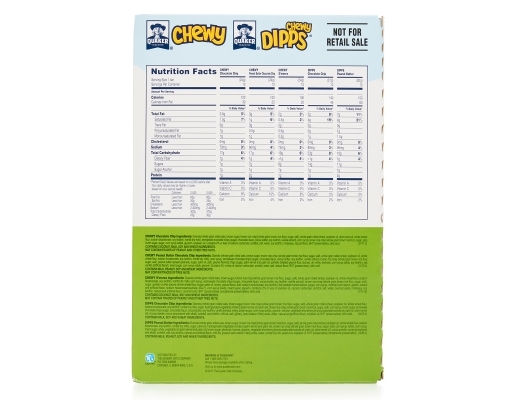 12 x Dipps Chocolate Chip: Quaker Chewy Dipps Chocolate Chip is covered in a chocolatey shell, combining the Quaker granola you know and love with scrumptious chocolate. It’s a delicious treat you will be excited to enjoy. 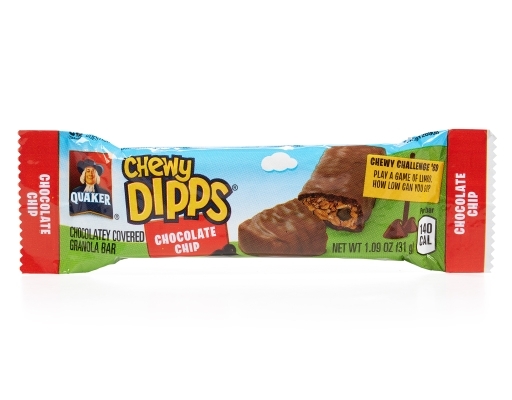 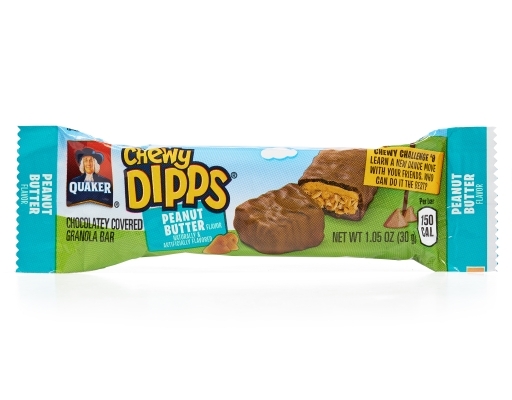 12 x Dipps Peanut Butter: Quaker Chewy Dipps Peanut Butter is the perfect combination of creamy peanut buttery taste wrapped in a delicious chocolaty shell, all with the Chewy flavors you know and love.